Wallace Gloege was our speaker in November 1994. 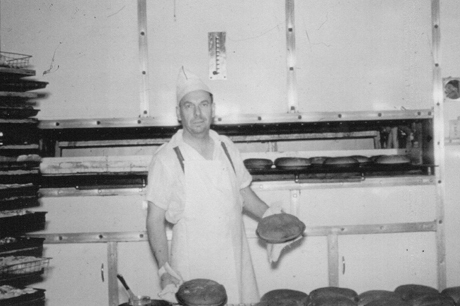 He gave an interesting account of the running of the Gloege Bakery. 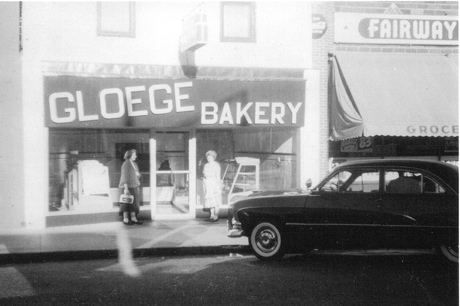 The Gloege Bakery began in a two story brick building in Annandale where the wood clock tower now stands on the corner of Oak Avenue [Main Street] and Cedar Street. 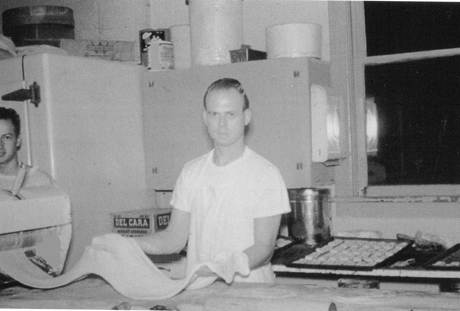 My father, Nolen, bought the building and business from Clarence Ferrell in 1932 and continued the baking business until 1972. The building had two apartments upstairs and my family lived in one of them. 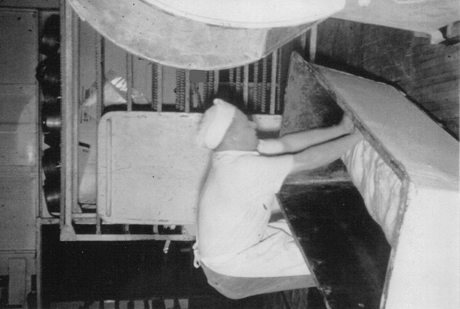 Most of the bakery goods were made and baked during the night hours. The rumbling of the machines was "music" to my young ears and sleep came easily for me, but Saturday night was a different story. The bakery was not open on Sunday so no rumbling on Saturday night could be heard. 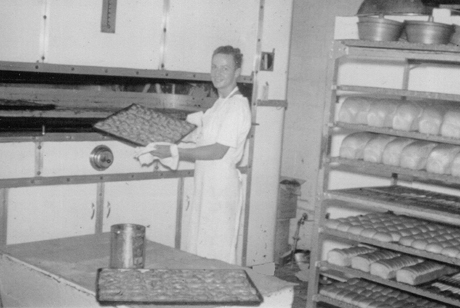 The Gloege Bakery, sometimes called the Annandale Bakery, produced a complete line of bakery goods, all from "scratch"...even angel food wedding cakes. 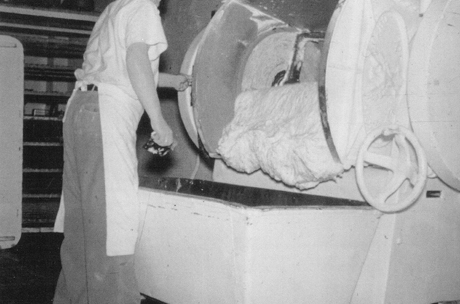 Unsliced white bread was a favorite. 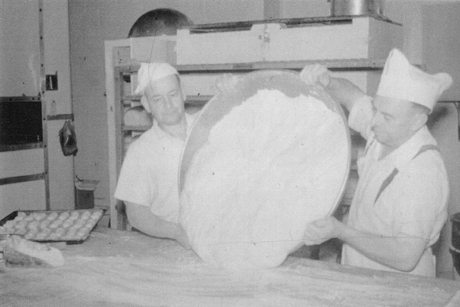 People often ordered 10-20 loaves and took them back to the cities. 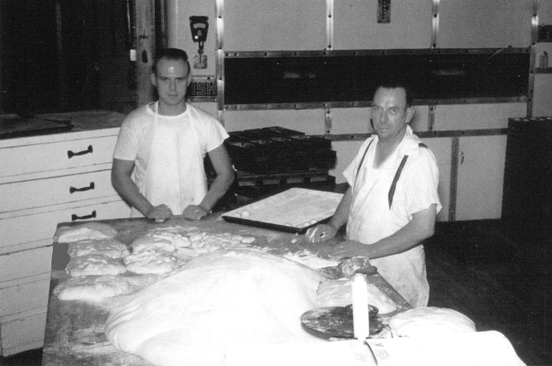 Besides retail business, three delivery routes were established to the west and north of Annandale and in town. 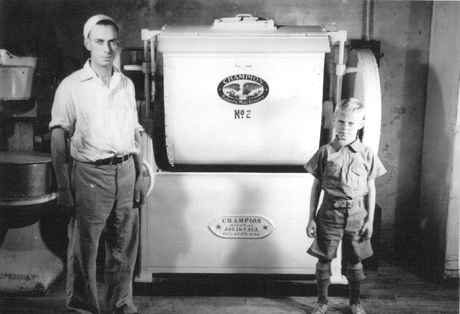 Products in town were delivered by a hand pulled red wagon to grocery stores and cafes. Many trips were needed to complete the deliveries. 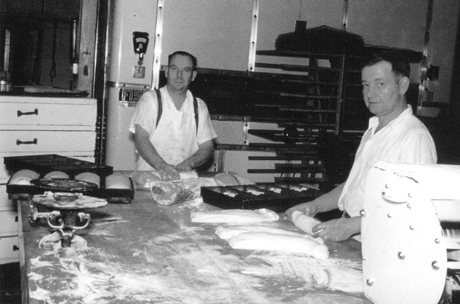 In 1957 the Clard Broberg grocery store was purchased and the bakery moved to this location which was next to the old post office. All delivery routes were discontinued and the business concentrated on retail sales in this new location. 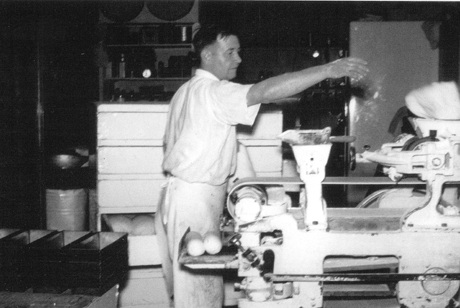 Most of the employees of my dad's bakery lived in Annandale . I would like to mention a few: Fillmore Vidlund (dad's brother-in-law), Roger Nelson, Eddie Bull, Vernon (Corky) Powers, Ethel Rudolph, Donavon Lundeen, Gordon Powers, Hulda Wendorf, and Hartwell Wendorf. 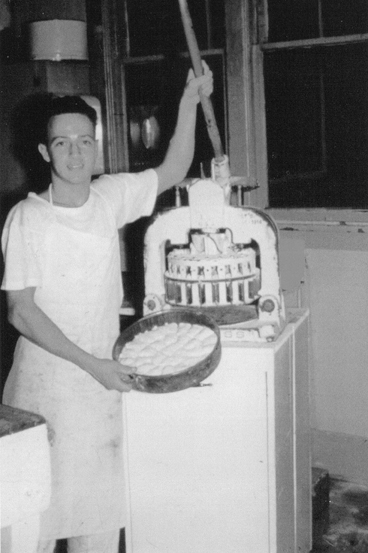 Even though the bakery was small, Dad was proud of his "barrel bread mixer," his automatic cake donut machine, and his eighteen bun pan gas-fired oven. 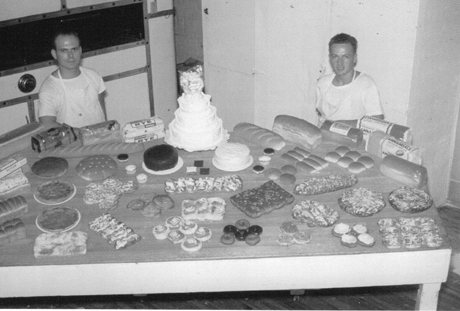 Some of the favorite products were; angel food cakes, unsliced white bread, Swedish Limpa, flat bread, apple kuchen, Danish coffee cakes, Texas sized raised donuts, and real cream filled puffs. 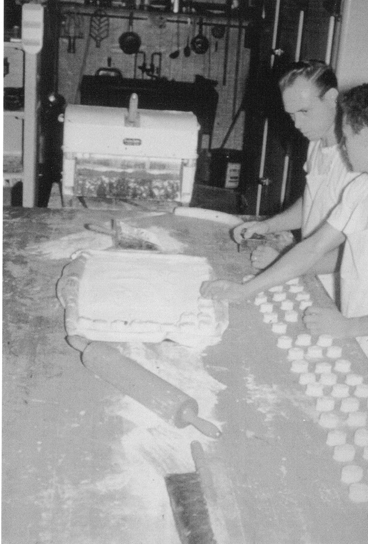 After forty years he sold the business to Wally and Rosalie Gloege who ran the business from1972-1974, Ethel Rudolph 1974-1977, and Gary Peterson 1977-1979. 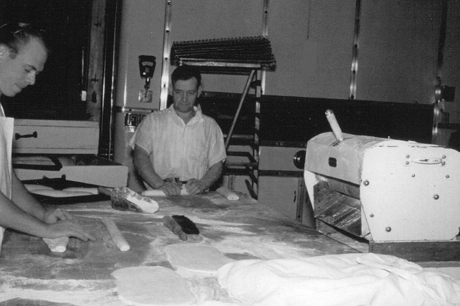 On New Years Eve 1979, a fire in the apartment over the bakery left the bakery badly damaged. The building, which Nolen still owned, was sold to Al Schulzetenberg. 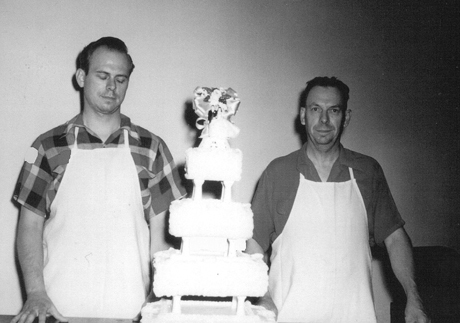 Al built a new building which became part of his appliance business. 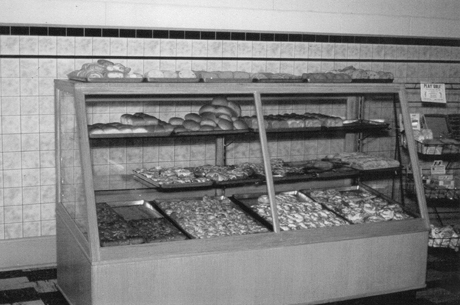 Thus ended the Gloege Bakery which faithfully served Annandale and the surrounding area for 47 years.